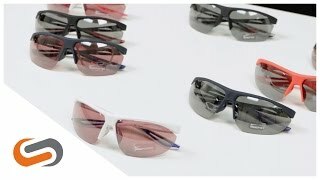 Nike Tailwind Swift sunglasses were made for those athletes who demand nothing but the best. These Nike performance sunglasses are constructed with curved, aerodynamic, interchangeable lenses. Streamlined for athletic advantage, the Nike Tailwind Swift will reduce eye strain while also remaining in place as you work up a sweat. Go the distance with a pair of Nike Tailwind Swift sunglasses.